Scotch Packaging Tape is strong enough to hold together your heaviest packages. 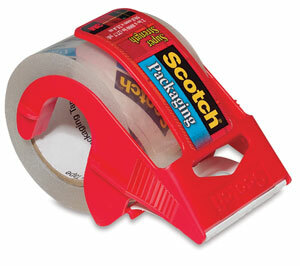 The dispenser ensures the tape easily unwinds and does not fall back on the roll. Perfect for when you’re boxing up packages for moving and mailing. Meets U.S. postal regulations.